If you are considering a family holiday with a difference, why not consider going on a family cruise? It certainly provides you with a great way to see lots of interesting places and you might be surprised how family friendly many cruise lines are. If this sounds appealing, keep reading for some more useful information that could help you choose an altogether different holiday this (or next) year. More and more cruise lines are making cruising more appealing for families. With the potential for free child places and lots of family friendly facilities on offer, this could be the best holiday you’ve ever had. What kinds of facilities can you expect on a family cruise? It all depends on the specific cruise and ship you book. For example some have cinemas, others have swimming pools and wave machines and also countless different activities to try out. It is usually helpful to think about what your kids would enjoy the most before you choose the ideal cruise for your needs. Many family friendly cruise liners also offer free babysitting facilities and a crèche. Children’s menus are also commonly available, but do check before making a booking. 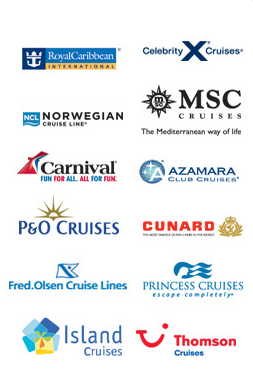 You should find all the facilities are free on board each cruise, but it is wise to make sure ahead of time. Which cruise lines are best when it comes to picking a great family cruise? Don’t miss the Disney Cruises that are now setting sail for all manner of different destinations. Kids of all ages are bound to like these – even the reluctant teenagers! While the only European departure port is in Barcelona, it might be worth considering if you are keen on a Disney themed cruise. Closer to home, P&O is well worth a look too. They have built four cruise ships that are specifically designed to cater to families. They provide a wide range of free activities for children of all ages, divided into four specific age groups from the age of two up to seventeen. Royal Caribbean also provides family friendly cruises. They have activity areas and plenty of activities available for various age groups as well. Obviously it will vary from ship to ship, but many of them are ideal for families. Typically speaking family friendly cruises offer cabins that are ideal for the whole family. Additional beds sometimes come in the form of a sofa bed, particularly if you book a suite of some description. In a smaller cabin you will often find beds that fold out when required and are then folded back again when not in use. If you have one or more rather independent teenagers you can consider getting two connecting cabins. With younger children the best option is usually a larger family room, namely because there will only be one exit to the corridor outside. A large stateroom or cabin will feel roomier and more welcoming too. One final point – when you are looking at bed space, make sure you know how the different options pan out. A cabin may sleep four people, but two of them may have to climb up ladders to get into bed. Would this suit your situation? Which itineraries are best for families? If you are on a family friendly ship you could say it doesn’t matter where you are heading to. The journey itself will be packed with entertainment and things to do, so you don’t need to worry too much about being at sea for a long period of time. Perhaps this is one of the reasons why the Caribbean islands are a popular choice for family cruises. They often include Mexico as well, not to mention a mix of beautiful beaches and opportunities to splash around in the sea. Older kids will love the opportunities a Caribbean cruise offers them, especially if you all want to head to warmer climes. If you want to stay a bit closer to home there are plenty of European cruises to choose from as well. Mediterranean cruises will enable you to stop off in countries such as Greece and Italy, taking in lots of nice beaches and sights at the same time. If you have younger kids who don’t tend to fare too well in the heat, think about something completely different and try an Alaska cruise instead. Clearly the two age groups are very different indeed. Most cruise lines have a range of different age groups, ranging from babies to toddlers and through to the ‘tweenies’ and teenagers. Make sure the cruise you pick caters for your children at the age they are now. If your children are of school age you should look for and book your cruise as quickly as you can. Family cruises tend to be booked up very quickly for the holiday periods, so the sooner you can make your booking the better. One thing is certain though – if you’ve never tried a family cruise holiday before, you might be pleasantly surprised at how good it can be. This could start a trend the whole family will love.